Learn how Traverse Monitoring can help you solve your biggest challenges in Performance Monitoring and Management. Monitor on-premise, in the cloud, and hybrid – all from a single action-oriented platform. Traverse was built to climb any monitoring challenge, even the most complex networks and datacenters. Set out on your adventure and explore the tools that Traverse Monitoring has to offer. Private and hybrid clouds, virtualized infrastructure, and distributed networks all multiply monitoring headaches. 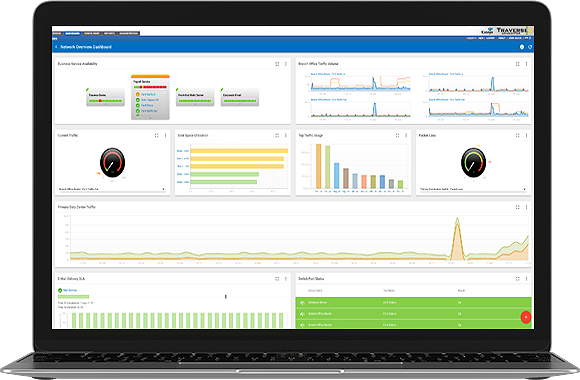 With Traverse you’ll be able to easily monitor and manage your networks and datacenters. Traverse is built to work across hundreds of different technologies – allowing you to quickly deploy Traverse Monitoring into your existing infrastructure.